Several weeks ago, Buddy got an invitation to participate in a teddy bear picnic at kindergarten. 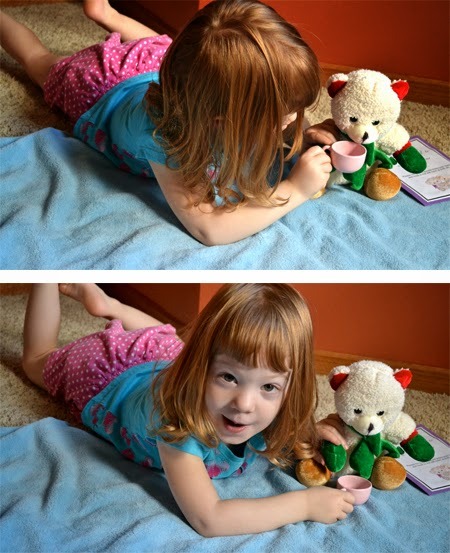 The night before, while Buddy was carefully choosing his teddy bear (he picked Wooshie Bear btw), I could tell that Jellybean was extremely upset that she was not going to get to go to the picnic. 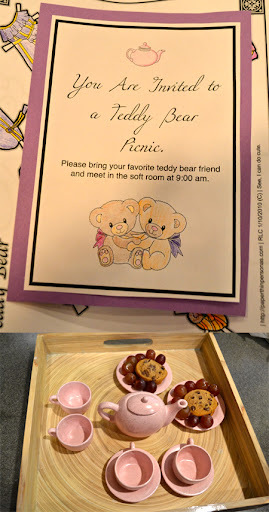 So, I decided to invite her to a teddy bear picnic at home. First thing the next morning she discovered an invitation. She was so excited! 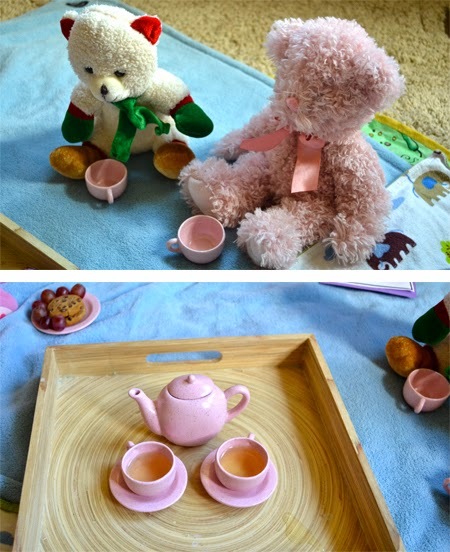 I laid out my stoneware tea set from when I was a child and we brewed up some chamomile tea together. Then we spread out a blanket in the "soft room." It's one of the only carpeted rooms in the house. It should be a formal dining room, but we love playing in there instead. She brought her Christmas Bear (a gift from her Great-Grandma) and chose a bear for me, too. 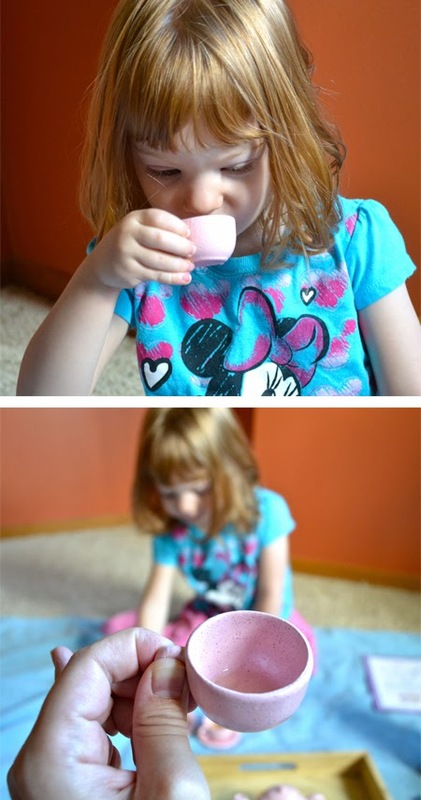 We enjoyed our tea, cookies and grapes and practiced our tea time etiquette. Christmas Bear enjoyed his tea, too. 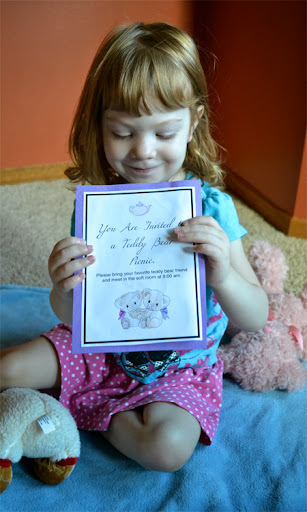 I decided that we should have some teddy bear related activities as well. The first was a color by number sheet. She is working on her number recognition right now, so it was perfect. 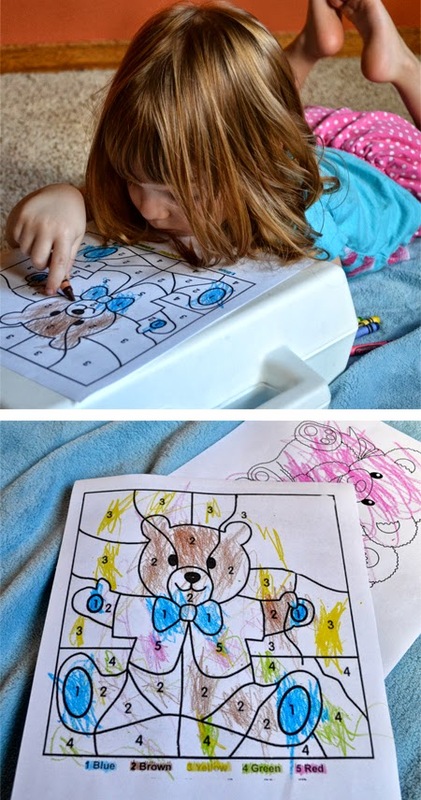 I spent a while the night before coloring this cute paper bear set. She didn't appreciate my effort, but I thought it was adorable. 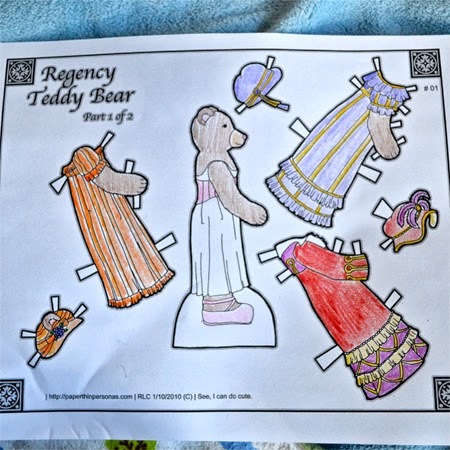 I cut it out for her and let her dress the bear. And what was my little Teddy Bear doing while we were drinking tea and coloring? 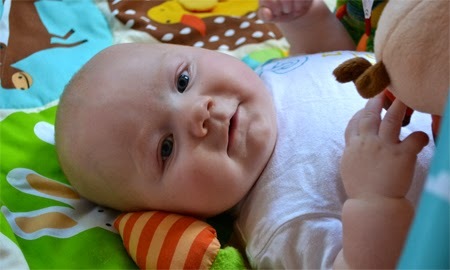 Napping and then playing on his mat. Cute and content. If the whole experience hadn't ended in a complete melt-down over my not letting her watch television, the morning would have been completely wonderful. It was still lovely spending some one on one time with my sweet little girl. 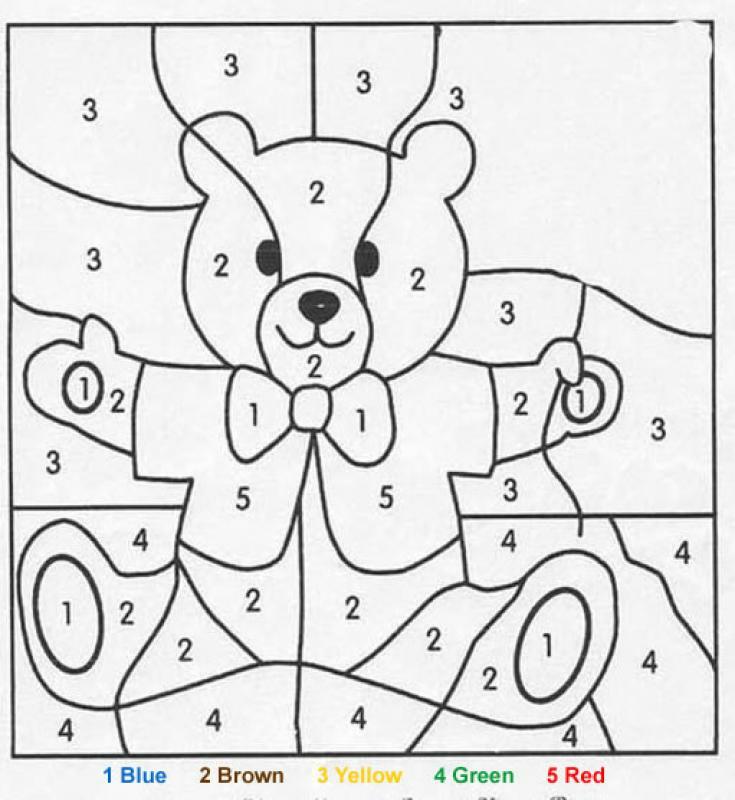 If you are interested in the color by number sheet or the paper bear cut-out, here are the links to both. I found them through a quick teddy bear picnic activity google search. Thanks, Em. I wish I could do things like this more often. It is a shame when you go to some effort and it ends in tears. On the bright side, she is still talking about how fun it was and wondering when we'll make tea and get out the tea set again. I hope you enjoy your picnic with your sweet girl.